Look no further! In this article, we showcase a huge library of marketing tools for small businesses. I guarantee you that your small business marketing will become easier to manage and track with these tools. Megalytic has templates that let you import data from Google Analytics, Facebook, AdWords, and a CSV file. It also has a huge collection of widgets, such as e-commerce sales by geography, AdWords conversions, social referrals, etc., that will surely make your reporting more detailed. Databox enables you to automate your client reporting process by compiling data from many popular marketing software and services - including HubSpot Marketing, Google Analytics, Adwords, Facebook ads, Twitter, and Linkedin Company Pages. It's an awesome tool that can help you set goals, monitor progress, and calculate ROI numbers. RavenTools is another useful reporting tool that has a research center for analyzing competitors, the ability to schedule social media updates, a tracker for link building campaigns, and an SEO auditor. RavenTools has a feature for analyzing your client's site against those of their competitors. You can compare backlinks, domain authority, load time, and page speed. Google Analytics is a top choice for many small business owners and for good reason. It offers powerful and integrated measurement tools that turn insights into results...and it's FREE. Cyfe enables users to monitor social media, web analytics, marketing, sales, support, and infrastructure. It's an all-in-one business dashboard so you can monitor everything! Grow can help you make better decisions, meet objectives, and align efforts with company goals. You can consolidate all your marketing data into a single dashboard so your team can make effective decisions based on real data. If you're looking for an easy-to-use and affordable tool for your business, then, Klipfolio is the one for you. This is another all-in-one dashboard software similar to Grow and Cyfe. Flipboard curates trending news and stories that will surely boost engagement. Readers consume content that is relevant and current and you can use Flipboard to get content ideas and find content you'd like to share with your audience. Feedly makes it super easy to keep up with topics that matter to you in one place. Similar to Flipboard, it's a great way to find content you want to share and get ideas for the different types of content marketing you employ in your business. If you're into creative, fun, and engaging memes, then Meme Dad is the right tool for you. Meme Dad can add humor to your content that your readers will surely adore...and it's free to use. Visual.ly may be a good option if you are looking to outsource your content creation. They can help you create videos, infographics, ebooks, and much more. Quora is a popular social network geared towards online discussions. How can this site help your content marketing? Simple, by getting content ideas from online trends that will surely boost engagement. Bonus Tip: Search "your industry" + "forums" to find a list of different online forums related to your industry. Forums can be a great place to get content ideas. If you are creating written content, Grammarly will be invaluable for you. Grammarly will make sure everything you write is clear, effective, and mistake-free. BuzzSumo is a great tool to help you analyze what content performs best based on topics or competitors. It can be a great way to find trending topics you might want to use in your content marketing. No matter what type of content you are creating, it's really important to have a headline that connects with people emotionally. This free tool will evaluate your headlines to ensure you've got a headline that will encourage people to consume your content. Email marketing is still one of the most effective marketing channels you can and should take advantage of. Implement any of these tools along with some email marketing best practices and you'll be off to a great start! Sendloop is a simple, affordable email marketing solution that also offers marketing automation features as well. If there's one email marketing tool I can personally recommend, it's ActiveCampaign. We use this tool for our business. ActiveCampaign allows us to create drip emails that are driven by subscriber interaction, behavior, interests, location, history and more. They also offer marketing automation and CRM capabilities under the same platform. Video marketing is extremely powerful. Incorporating video in your email content can be game-changing and BombBomb is your go-to tool for all your video needs. Drip is another fantastic email marketing and marketing automation platform. It's easy to use and very powerful. Definitely worth checking out! MailChimp is one of the most popular email marketing and marketing automation platforms around. It's easy to use and they've got a great free program if you are just getting started with email marketing. This is another very easy to use email marketing and marketing automation platform. Like MailChimp, they have a great free program if you are just getting started. ConvertKit is email marketing built by creators, for creators. They offer email marketing and marketing automation with features catered to online businesses. Similar to the rest of the email marketing and marketing automation tools listed here. The secret is to find the one that makes sense for you, one you will understand, and one you will use. Whether you are doing cold email outreach or just following up with prospects and customers via email, there is a tool in this list you can benefit from using. Quickmail will help you generate leads on autopilot. It is a fantastic tool to help you automate cold email outreach and follow up at scale. This is another tool similar to Quickmail, but they have very powerful segmentation tools that allow you to get very granular with your campaigns and who you want to target. Another great option to help you automate email outreach so you can do it at scale. This is a great tool if you need email follow up reminders, email tracking, and automated email follow-ups. Streak is really a CRM that lives inside of Gmail, but they have some awesome email outreach features like view tracking so you know who is reading your email messages and who isn't. Boomerang will allow you to schedule email messages, snooze messages, track opens and set follow up reminders. It works with Gmail and Outlook. They are a solid provider that has been in this space for a long time. Yesware helps people who want to know what happens to their email after they click send. They have very in-depth email tracking including email open and reply rates, link clicks and attachment opens. They also offer automated outreach capabilities. It's a very strong platform that is definitely worth checking out. Adobe Creative Cloud gives you access to the entire collection of best in class tools from Adobe like Photoshop and Illustrator along with cloud storage to store and share files. As the name suggests, FontShop adds more life to your fonts. It makes sure that your font is in sync with your overall design. FontShop offers a wide variety of font designs you will surely love. What I love about InPaint is how it makes photo editing as simple as 1 2 3. Watermarked photos are usually difficult to edit but InPaint makes it very easy. You'll love this photo editing software which magically removes unwanted objects with just a click. This is a free tool to help you pick the right colors for every job. What colors go with the blue in your logo? You'll get answers like this and much more from this tool. Canva is an awesome tool for easily creating and editing graphics. It has millions of stock photographs, vectors, and illustrations you can choose from. Canva also has preset filters, advanced photo editing tools, icons, shapes and elements, and fonts you can use to modify and improve your pictures. Design Pickle offers unlimited graphic design for a monthly fee. It can be a great way to outsource your graphic design needs. Landing pages are an essential part of digital marketing, especially if you are using online advertising to generate leads. A landing page allows you to send traffic to a page that is separate from your website, without the navigation distractions and a very specific message geared towards getting the visitor to take the action you desire. These tools will make it easy for you to create landing pages and track your results. Unbounce is a landing page builder that makes it easy for you to create great landing pages with ease. Instapage is a tool for people who don't have a lot of experience in landing pages. It offers a drag-and-drop system along with the ability to edit individual elements. You can also test your landing page using their A/B testing feature. LeadPages offers landing page creation, A/B testing, and a unique feature called Leadbox. The Leadbox feature allows you to create and configure pop-up forms to display in a non-obtrusive way on your site when visitors click certain links. They are similar to the first two options in this category and have been in the space for a long time. If you want to know if your audience gets the message of your landing page within seconds, then the 5 Second Test tool is the best testing tool for you. This awesome tool asks users to look at your landing page for five seconds and to remember as much as they can about what they see. Basically, the 5 Second Test tool is a useful feature that allows you to get feedback from your users about your landing pages. If you are using WordPress for your website, then Thrive Themes has some two products for landing pages you will want to check out. Thrive Architect is a drag and drop editor for WordPress with great landing pages templates ready to go. Thrive Optimize is a landing page A/B testing product that makes it super easy for you to A/B test your landing pages to continually improve conversions. I'd highly recommend any of the tools from Thrive Themes. Click Funnels is another landing page builder, but more than that, it's a complete sales funnel building solution that allows you to build any of the landing pages and email automation you'd require to move a customer through your sales process. Many of the tools I mentioned in the Email Marketing Tools section offer great marketing automation capability, so be sure to check them out. Here are some additional marketing automation tools worth looking into if you've got more advanced needs. Marketo has been in this space for a long time and offers marketing automation for companies of any size. HubSpot is a very popular marketing and sales software company. You can actually integrate marketing, sales, and customer service into one system. Similar to HubSpot, Infusionsoft provides CRM, sales, and marketing software in one package. You're not going to see a list of tools for mobile marketing. Why? Because pretty much all your marketing today needs to be based on a mobile-first approach. 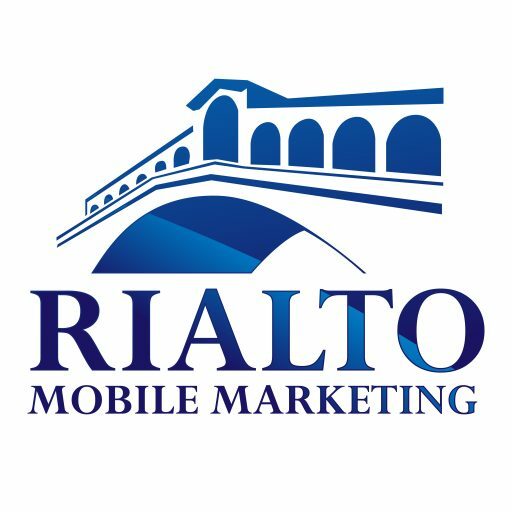 For example, your website, social media, content, and email marketing must all be mobile friendly. So, in a sense, many of the tools listed in this article have a mobile marketing aspect to them in some way, shape or form. In addition to the list below, some of the tools in the Graphic Design Tools, Landing Page Tools, and Search Engine Optimization tools will be valuable for your online advertising efforts as well. Facebook ads is an affordable and an effective way of online advertising. The tools and reporting built within the platform are really good. Although you can spend a lot of money with Facebook Ads, you can start small and still see results. Google Adwords is still the most popular PPC platform on earth. It offers extensive support, free first-time setup over the phone, and an editor that lets you work offline and edit in bulk. Keyword Combiner ensures you’ve seen all the possible keyword combinations for your PPC campaign. This tool is very helpful and is easy to use. As the name suggests, Keyword Niche Finder ensures that your keywords are relevant to your niche. It's a free online tool for all your keyword needs. Spyfu lets you spy on your competitors. It lets you download your competitor's keywords and AdWords to make sure you're always ahead of the game. SpeedPPC lets you create PPC campaigns in seconds. It also lets you do your keyword research and competitor analysis tasks in the most convenient way. You can't do everything yourself. Outsourcing certain marketing tasks or hiring a small business marketing consultant will leverage your time and maximize your marketing results. Currently, Outsourcely is available to 132 countries with remote workers looking for long-term jobs. What makes this platform unique is the features that make hiring easy. Use its built-in private chat, browser to browser video & voice calling, messaging features, and Team Workplace platform. Freelancer is a great website to find and hire freelancers for your marketing needs. If you're looking to outsource technical, creative or business projects then Guru is the best outsourcing platform for you. It lets you evaluate applicants according to reviews, recommendations, testimonials, and relevant portfolio. Fiverr offers everything starting at only $5. It's the cheapest platform out there. Whether you need an explainer video, a product description, a proofreader, an email marketing campaign, or a blog post, you may be able to get it done for as little as $5. In most cases, you will need to pay more than $5 to get high-quality work. But, I've had some awesome work done on Fiverr very inexpensively. Search profiles and contact freelancers directly. This platform is great for small and mid-sized business owners who need a one-off project like a website, app, or a blog post. Witmart is a Chinese-based workplace platform. Chinese freelancers on this site offer internet service, designs, and digital goods. Currently, Witmart has 7 million registered users you can choose from depending on your needs. TopTal is a go-to place for small business owners who are looking for top quality software developers and designers. If you're looking for a freelancer to create a new design for your website, logo, brand, T-shirt, or even a car wrap, then 99designs is a great place to find someone for your project. Hootsuite Social Listening Tool is a great ORM tool for your social media accounts. It analyzes your brand's online presence according to stories, patterns, influencers, etc. Trackur analyzes social media channels, web journals, discussions, blogs, news sites, and media sharing destinations so you know what is being said about your business. Mention makes scouring the web, social media and more simple. They offer real-time media monitoring so you can track the important details of your online reputation. Would you like to know how you are currently doing with online reviews? Take advantage of our FREE online review scan. The fastest and easiest way to gather actionable feedback from your customers. Delighted uses the Net Promoter System® to gather real feedback from your customers – in minutes, not weeks. GetFiveStars will help you get more valuable customer feedback and online reviews by automating the process to make it simple and easy for you. Another awesome, free tool from Google to help you monitor and maintain your website's presence. Setting up Google Search Console is a must for any website. Ahrefs offers a host of tools you will find helpful in maximizing your SEO results including keyword research, website audits, rank tracking, and much more. This is an awesome tool for SEO! Keywordtool.io is a free tool to help you find great keywords. Enter a keyword and voila, you'll get all kinds of ideas to work with! This is another great, free keyword research tool. Type in any keyword and Ubersuggest will start making suggestions for you. Open Site Explorer gives you a quick peek at a wide variety of link analysis, including a look at the most important links coming your way and your most linked-to pages. Moz Pro is an all in one SEO tracking and research toolset and is definitely worth checking out. SimilarWeb lets you view site stats for any domain. Use this tool to compare and contrast traffic between two websites. It's a helpful tool for competitor research. SERPs Rank Checker lets you see where your site ranks for certain terms. You can input your keyword and your website and see where you land, or leave the website field blank to view the top-to-bottom list of results for a keyword. Similar to MOZ and Ahrefs, SEM Rush has a host of awesome tools to make sure you are on top of your SEO. If you are using WordPress for your website, this plugin is a must. Yoast is the #1 SEO plugin for WordPress. It's very easy to use and will help you SEO optimize your website. Some of the best social media marketing tools have overlap with the other sections in this article. I've already mentioned the following tools in these sections. Buffer is a fantastic tool to help you manage social media and make your life easier. They are a leader in this space and definitely worth checking out. Hootsuite is a tool to help you manage all your social media in one place. There's some crossover with Buffer, but also some differences. I'd recommend comparing the two to find out which one will work best for your needs. I've already covered some great website tools above. The speed of your website is really important and can impact your SEO and conversions. Pingdom is a free tool that will tell you how you are doing and where your website is running into any speed issues. This is another tool similar to Pingdom to help you identify any speed issues on your website. This is another page speed testing tool similar to Pingdom. It's good to test your page speed from multiple sources. It's not uncommon to uncover different results and I find testing with multiple tools can give you a more complete picture. Broken links on your website are not a good thing. They can impact the user experience and your website ranking. This tool will tell you where you have broken links so you can fix them quickly. WordPress is the most popular open source software and content management system for building your website. With all the available plugins and customization capabilities, you can pretty much do whatever you want with WordPress. If you are building a new site or redesigning an old one, it's worth considering WordPress if you aren't already using it. I wanted to give you a few more marketing tools for small businesses that are super helpful but don't really fall into one of the categories we used. Loom is free screen recording and video recording software. It is so easy to use I had to include it in this list. You can use it for a whole lot more than marketing your business, but when used for customer communications and client support it can really improve the customer experience and set your business apart from the competition. Another free tool from Google. You can set up alerts for all kinds of things that can be beneficial to your marketing like your company name, competitor names, and much more. This is an easy way to monitor the web for topics you want to keep track of. Your company's online directory listings and citations (mentions of your company name, address, and phone number online) are really important for local SEO and can help your business get found. Can you do this yourself manually? Yes, but why not save yourself time and headaches by using a service like Yext? This is another service similar to Yext that will help you manage your online directory listings and citations. Phew! That was a long list, wasn't it? I can guarantee you it's the only list of marketing tools for small businesses you'll need to grow and improve your business. If the thought of using some of these tools stops you in your tracks don't worry. You might want to consider hiring a small business marketing consultant to handle this for you so you can focus on what you do best. Are you already using some of these tools? If so, how did it help your business? Did we miss something that needs to be added to this list? I want to hear all about it in the comments section. Amazing article, thank you! A lot of great tools for small businesses to choose from. I’d like to add another SEO tool that may be of interest to small businesses as it’s free and very user-friendly -it’s called Cocolyze (https://cocolyze.com) – would be interesting to see if you or others have heard of it before! Thanks for the comment Ailsa. I haven’t heard of Cocolyze, but I’ll definitely check it out.